Former Olympus deputy chairman Hisashi Mori and chairman Tsuyoshi Kikukawa were sentenced on Wednesday. Former Olympus chairman Tsuyoshi Kikukawa and two of his deputies were sentenced Wednesday in Tokyo for their roles in a massive accounting fraud that almost brought down one of Japan's largest electronics companies. Hiroaki Saito, a judge in Tokyo's District Court, handed down suspended jail sentences to Kikukawa, former board director Hideo Yamada and a third executive, Hisashi Mori. 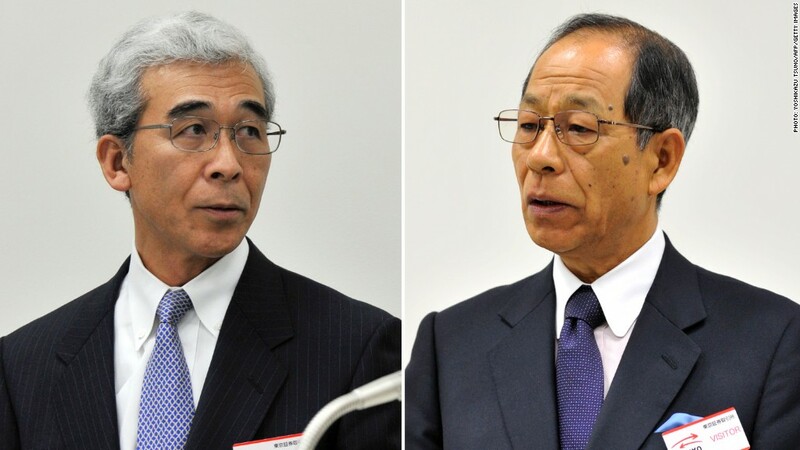 Kikukawa and Yamada received three years in jail, suspended for five years. Mori was given two and half years, suspended for four years. The judge also ordered Olympus to pay a fine of 700 million yen. If the former executives meet the terms of their probation, it is unlikely they will serve any jail time. All three had pleaded guilty. Although lawsuits are still pending, the sentencing should be one of the final chapters in a saga set off in October 2011 when former Olympus CEO Michael Woodford blew the whistle on $1.5 billion in suspicious payments made by the company. Woodford, a rare outsider in Japan's cloistered corporate culture, had risen to CEO of the electronics giant before being fired for asking too many questions about the questionable accounting practices. The company later admitted to hiding investment losses over more than a decade in a massive cover-up that nearly sank the company. Olympus shares halved following the admission. They have since recovered, and last year embattled electronics powerhouse Sony (SNE) took a stake in the firm.